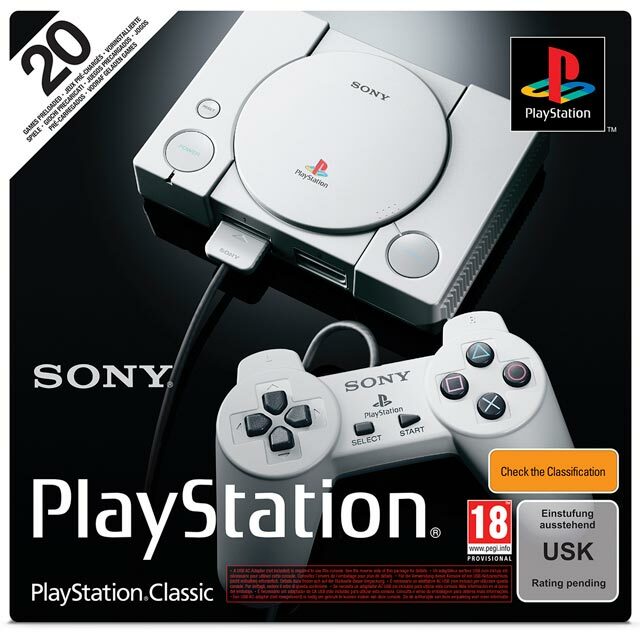 Relive the golden 32-bit era of gaming with this Sony PlayStation Classic. It takes the same form factor of the original PlayStation console and shrinks it down to fit in the palm of your hand, whilst adding HDMI support for modern TVs in the process. It comes loaded with 20 of the best titles that graced the system in the 90s, including the iconic Final Fantasy VII, Metal Gear Solid, Grand Theft Auto and Resident Evil (Director’s Cut). There’s even two controllers included in the box, so you and a friend can order the pizzas in and settle down to some couch multiplayer – just like the good old days. The pads and the console are really nicely made, the games on offer are okay with a couple cool obscure ones but of course that's changeable. Purchased this for my wife. We used to play these games with our 4 sons when they were young (and sort of innocencent). Great fun great memories. The usual Sony Quality. so compact and fun, I took it with me when I went to stay with my brother, we had a brilliant time reminiscing on the late 90's, brilliant buy and a brilliant load of fun, plug and play into anything including my car! with the usb power supply you can use it anywhere!